How do I obtain a handicap permit? 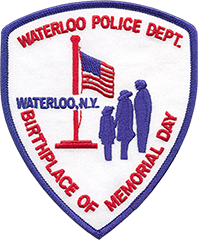 You can obtain a handicap permit application from your doctor or the Village of Waterloo Administration Office. You need to fill out part 1 of the application and your doctor will fill out part 2. To obtain your permit, bring the application down to the Village Office along with either: 1. Your New York State Driver’s License or DMV Photo I.D. 2. A photo I.D. or birth certificate and proof of residence.